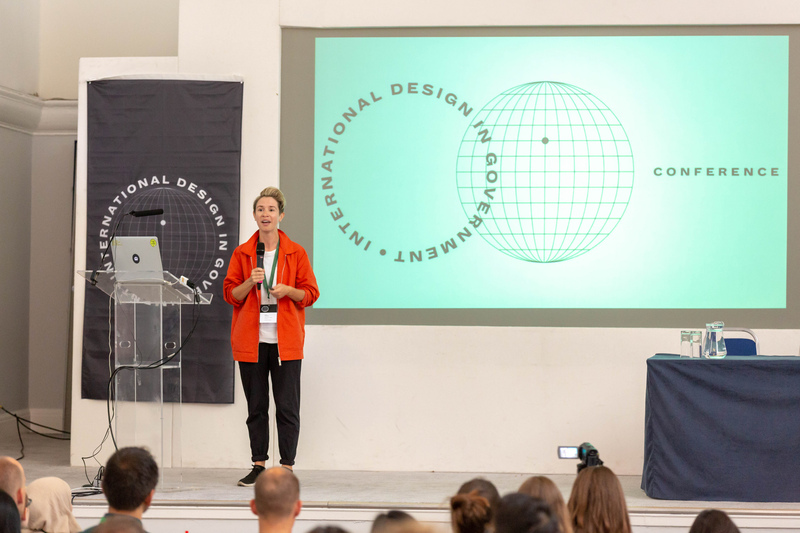 Earlier this year we ran the first International Design in Government Conference in London. 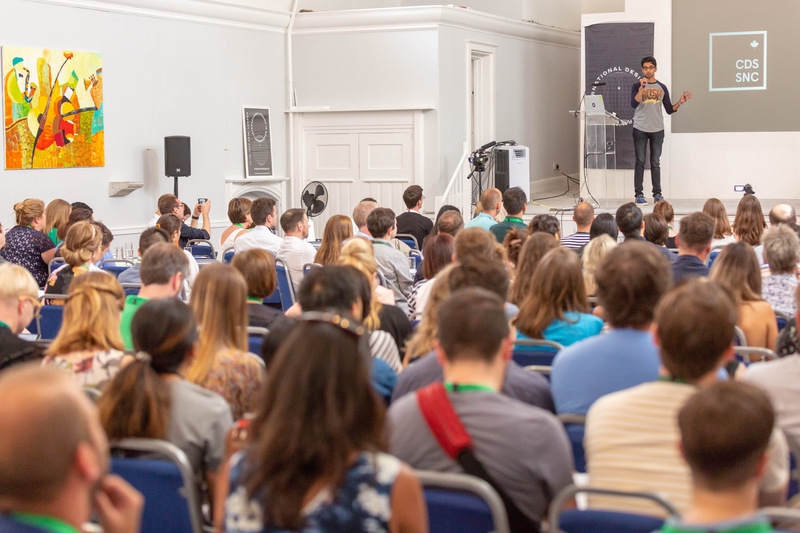 We had keynote speakers from 3 different continents, including GDS’s Head of Service Design and Standards Lou Downe; Hefen Wong, the Deputy Director of Singapore’s Co-Lab; and Chris Govias, Chief of Design for the Canadian Digital Service. We also held a series of breakout sessions, workshops and panel discussion over the 2-day event. In all, we hosted 220 people from 26 countries around the world. It was great to bring together this community, which has been steadily growing since February 2017. We ran a survey after the event and got great feedback from people who came along. Participants scored the overall agenda 4.6 out of 5 (0 is bad; 5 is excellent). Those who were not able to attend in person were able to follow the event on Twitter. There were 1,494 total mentions of the #govdesign hashtag from 16–18 July. And we got Lauri Lugna, the Secretary General of Estonian Ministry of the Interior to sign up to Twitter! Here’s what we learned from running the conference and how we plan to build on it. All of the content was co-created with the community. We asked the community to submit ideas for how the conference should run, as well as proposals for talks and workshops. After receiving 40 proposals, we were able to include over half of the content. It was great to see the ideas that had developed from the community come to life. Two of the workshops we ran were co-organised by international governments: the Italian government Digital Transformation team (Team Digitale) co-facilitated a workshop on design systems with GDS; and the UK Home Office and Inland, the Finnish Immigration Service (Migri) ran a workshop on mapping global immigration services. There are interaction and service designers, user researchers and content designers in many governments around the world now. But compared to other long-established professions like policy or operations, they are still a small minority. Designers still need to demonstrate value by making improvements to public services and making their impact measurable. Creating an inclusive design culture that involves more than just designers can help to bring down silos and enable cross-government collaboration. For example the designers at Estonia’s new Innovation Lab are located at the central Government Office and have support and input from the secretary general of 6 key ministries to work effectively. And Finland’s D9 team runs design sprints and hackathons with various departments to increase awareness and capability of human-centred digital transformation. Working in the open is a really important way for designers to maximise their impact. Publishing our work and talking about it will mean that the techniques and approaches used by designers can be seen and adopted by other professions. It is a vital part of building an inclusive design culture. And sharing within the community is important too – so that we can learn from the different things we are all doing. For example, a few days after the conference, Amy Hupe from the GOV.UK Design System team remotely joined a meetup in the Netherlands exploring how to build a design system for Dutch government. One of the aims of the conference was to identify areas for collaboration and start working together across governments on them. Many governments are interested in starting design systems, like the GOV.UK Design System. We also plan to build on the maturity model shared by the Dutch Gebruiker Centraal (user needs first) community, by sharing other maturity models to see if we can create a shared model. Some of us in the community do training and coaching in user-centred design, so we’ll share resources and best practice. Developing a visual identity for a community and its events is important to create a sense of belonging. Luckily, we have immensely talented colleagues who are experienced at this and have worked on events like Sprint 16 and Sprint 18. 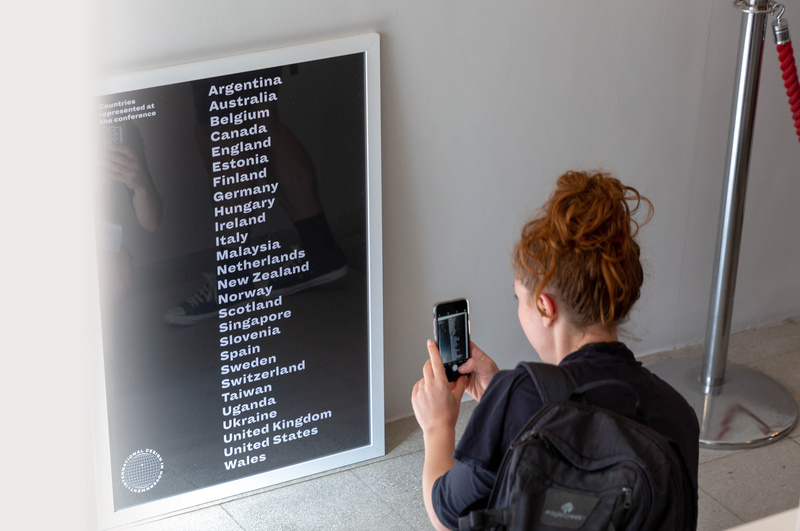 For the International Design Conference, Stephen McCarthy designed the logo and assets: posters, stickers, and a flag. After the conference, community members asked us to share the files, so they could put up the posters in their offices. So we made them available on GitHub. We also made a newspaper for the community. Members of the community, including speakers at the conference, wrote articles. We placed the newspapers around the venue so that people could read them during breaks and take a few copies back home to share with their teams and organisations. We also made the articles available online on Medium. You can expect more community events next year. We are in early talks with engaged community members who would like to run a conference in 2019 in another country. We’ll share more once it’s confirmed. We’re continuing to run monthly calls and the November call is on government innovation labs. If you work in government and you’d like to join the community and the monthly calls, you can apply to join the Google Group. If you weren’t able to attend the conference you can still catch up on what happened. We have recorded some of the talks and published the presentations from the Gov Design Meetup on YouTube. We have collected all of the blog posts written after the conference on Medium. Photos from the day are on Flickr and Lou Downe created a Twitter moment of the 2 days. Follow Kara and follow Martin and on Twitter and remember to sign up for email alerts.